The process can be stressful. A home inspection is supposed to give you peace of mind but, depending on the findings, it may have the opposite effect. You will be asked to absorb a lot of information over a short period of time. Your inspection will entail a written report including photos and what the inspector tells you during the inspection. This, combined with the seller's disclosure and what you notice yourself can make the experience overwhelming. What should you do? 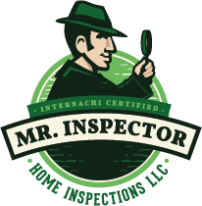 Home inspectors are professionals, and if yours is a member of InterNACHI, then you can trust that he is among the most highly trained in the industry. Most of your inspection will be related to maintenance recommendations and minor imperfections. These are good to know about. Most sellers are honest and are often surprised to learn of defects uncovered during an inspection. It’s important to realize that a seller is under no obligation to repair everything mentioned in your inspection report. No house is perfect. Keep things in perspective. Paying a little extra for an InterNACHI inspector pays off! Buying a home? It is probably the most expensive purchase you will ever make. This is no time to shop for a cheap inspection. The cost of a home inspection is very small relative to the value of the home being inspected. The additional cost of hiring an InterNACHI-certified inspector is almost insignificant by comparison. You have recently been crunching the numbers -- negotiating offers, adding up closing costs, shopping for mortgages -- and trying to get the best deals. Don't stop now. Don't let your real estate agent, a "patty-cake" inspector, or anyone else talk you into skimping on the home inspection. InterNACHI-certified inspectors perform the best inspections by far. InterNACHI-certified inspectors earn their fees many times over. As the most qualified inspectors, they do more, they deserve more, and -- yes -- they generally charge a little more. Do yourself a favor and pay a little more for the quality inspection you deserve.